“I was born February 17th, 1889, in the city of Yekotirenodar (the gift of Catherine the Great), now known as Krasnodar, located in the province of Kuban, in the northern part of southern Russia. I was the fourth child of a middle-class family. My father had a shop that manufactured fur hats for the Cossacks. “When I was five years old we moved 125 miles south to the city of Novorossiysk on the shores of the Black Sea. “It was my parents’ ambition that I should become a doctor. My mother particularly, who could neither read nor write, was prepared to make any sacrifice to fulfill this dream. Since only a very small percentage of Jewish children were accepted at the Gymnasium, I was tutored privately to prepare me for examinations. My parents’ ambitions for me were to remain only dreams though for from an early age my thoughts were concerned mainly with the simple questions of why the majority of the people had nothing while the few had so much. “In Russia, the transfer of prisoners from one city to another in large groups was called Etap. Since Novorossiysk was a port city, groups of these prisoners were continually coming through town, transferring from ships to trains. They would come in by ship, spend the night in the city, and the next day be marched up the main street to the train station. “The picture of these worn-out groups of human beings, chained hand and foot, and the clink of their irons were with me all of my childhood as a continual reminder of oppression. “When I was twelve years old I accidentally found a handful of underground revolutionary literature. I brought it home innocently enough and nearly got a beating from my father when he saw it. The fear in the faces of my parents and the few pages that I read started my mind working, and within a year I was involved in the underground revolutionary movement in our city. “I continued studying with my tutor but my thoughts were too deeply involved with the revolutionary movement and I made little progress. With every pamphlet or book that I read in the underground I got further away from any possibility of becoming a doctor. Within a few months, after a bitter fight with my parents, I finally told them I had no intention of becoming a doctor and that I would run away from home if they insisted that I continue with my studies. The work with my tutor and two years of grammar school was the extent of my formal education but I continued to educate myself by reading world literature. “I was 16 when the revolution began in Russia in 1905. Novorossiysk was the second city in Russian (after St. Petersburg) to organize a Soviet Republic, which existed for six weeks and in which I took an active part. “Naturally, when the repressive general reaction of the Tsarist government reached Novorossiysk, I had to leave the city in a hurry to escape arrest. I hid out in various parts of Russia and finally decided to look for better luck outside the country. In 1907, after stopping in Germany, Switzerland and France, I was on my way to the United States. “The dark side of immigrant life in the United States in those days is a story in itself. Suffice it to say we were not treated then as the Cuban Catholics are now, with government subsidies. An immigrant from Europe considered himself lucky if he could get $3.00 a week for 48 hours of backbreaking labor. We were often hungry, but also often happy, for we had certain inner values that gave us the hope to go on with our poor lives. We all kept our free time filled with activity and there was always the hope and dream that some day we would be able to return home. “Filled with this dream I did manage to return to Russia in 1910 but after ten months I had to flee for my life and returned again to the United States. “In the following years economic conditions improved slightly for the immigrants and the edges of their dream of returning home were dulled. Many of them married and settled down to raise families and began to regard their dream as an illusion. “Then, in the early months of 1917 the immigrant community was suddenly wakened from their lethargy when the shattering news of a revolution in Russia came through. The Tsar was ousted and the illusion became a possible dream again. “The immigrant colony came back to life with the electrifying news of a General Amnesty for all political prisoners and political immigrants and, at least for a time, even the animosity between some of the socialist groupings disappeared and warm human relations established themselves in the happy holiday atmosphere of going home. “On June 16th, 1917, we left the U.S. on the way to the new Russia, and, after more than a month of travel, my family and I arrived in Novorossiysk on July 18th, 1917. 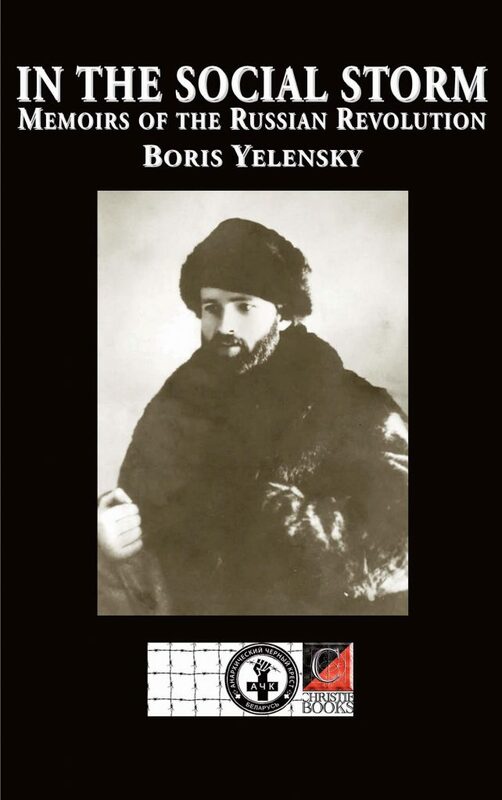 This book is my own story of that time; of my own active participation in the great Russian social revolution. “Even though I eventually had to leave the shores of the beautiful Black Sea again, and several times brushed closely with death, I am not sorry that I returned when I did. Even now, at 82, I would do it again if the opportunity arose. “Much has been written on the history of the various colonies, communes and co-operatives which experimented with new social orders but I consider the experiment I have presented in this book the first serious large-scale attempt to create a nucleus for a free society based on the foundation of full equality and human dignity.